Sports teams, leagues, camps, and recreation departments need to carry General Liability policies that protect against Products and Completed Operations lawsuit exposures. 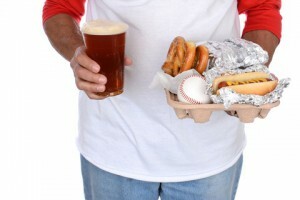 Product liability for sports organizations can arise from the sale of defective products that injures someone away from the premises after control of the product has been relinquished.Common examples include injuries arising from concession sales such as food poisoning or a broken tooth from biting into a hard object hidden in food. Other exposures can result from the sale of fundraising products, team identity items, and pro shop sales. It’s also possible for a completed operation of a sports organization to result in liability exposure. An example would be a construction project off premises such as temporary bleachers or a stage that results in injury. Most sports organizations don’t have a large Product/Completed operations exposure and as a result the minimum recommended limit for the Products/Completed Operations General Aggregate is $1 million.